The Employee Retirement Income Security Act of 1974 (ERISA) is a federal law that sets minimum standards for retirement and health benefit plans (group-sponsored benefits) in private industry. ERISA does not require any employer to establish a plan. It only requires that those who establish plans must meet certain minimum standards. ERISA covers retirement, health and other welfare benefit plans (e.g., medical, life, and disability plans). Among other things, ERISA provides that those individuals who manage plans (and other fiduciaries) must meet certain standards of conduct. The law also contains detailed provisions for reporting to the government and disclosure to participants. There also are provisions aimed at assuring that plan funds are protected and that participants who qualify receive their benefits. Every plan must have at least one fiduciary named in the plan document (either a person or an entity). Most often the plan sponsor is the named fiduciary. If the plan sponsor keeps some or all of those duties, its officers or principals who perform those duties are ERISA fiduciaries. In general, professional service providers offering legal, accounting, auditing, or third-party administration services are not considered fiduciaries because they do not exercise discretion or control over the plan. What are the fiduciary responsibilities of an employer when sponsoring a qualified retirement plan? Many employers establish retirement plans without being fully aware of their fiduciary responsibilities. It is imperative to know whether an employer is a fiduciary and, if so, what are their responsibilities because there are risks. A fiduciary that breaches any obligation or duty can be held personally liable to make good any losses incurred by the plan resulting from the breach, even if the breach was made unknowingly. Pleading ignorance or inexperience will not be adequate defense. What are the employer’s fiduciary duties? Expertise in a variety of areas is required of fiduciaries. Fortunately, a plan sponsor can act to limit potential exposure by relying on competent outside advisors to assist with complicated matters. The fiduciary obligations do not end with the selection of a service provider because ERISA imposes an ongoing duty to monitor with reasonable diligence the providers in order to ensure that they are meeting the plan’s expectations. What are the employer’s liabilities? In addition to being held personally liable for a fiduciary breach, a plan sponsor may be personally liable to restore plan losses resulting from violations as well as forfeit any realized profits. The Department of Labor (DOL) will also assess a civil penalty against the plan sponsor and, in extreme cases, the plan sponsor may be subject to criminal penalties. A plan sponsor can be held liable for both their direct actions or for the actions of co-fiduciaries. If a fiduciary becomes aware of an improper action on the part of a co-fiduciary and do nothing, they also become liable for that breach. Can an employer limit their fiduciary liabilities? There are actions that can be taken to demonstrate that a plan sponsor’s fiduciary responsibilities were carried out properly as well as other ways to limit liability which are described below. In order to demonstrate that a plan sponsor acted prudently, they should fully document in writing the process used in making fiduciary decisions. The prudent fiduciary must understand what expenses are being charged and what services are provided for those fees. Thanks to the fee disclosure regulations enacted in 2012, employers and employees are no longer in the dark about how much compensation plan providers are receiving from various sources, directly or indirectly. It’s valuable information and a plan sponsor has the duty to only pay reasonable expenses which was very difficult when the plan providers didn’t have to disclose their fees. The problem is that with this added information comes added responsibility. So it’s not important enough to get the fee disclosures, a plan sponsor has to benchmark the plan fees to determine whether they are reasonable. It’s important to note that a plan sponsor is not required to pay the lowest fees, but they have to determine whether the fees being paid are reasonable for the services provided. Another way to limit liability is to allow participants to direct their own accounts. ERISA Section 404(c) allows fiduciaries to transfer investment responsibility to participants who direct the investment of their accounts. Generally, a plan sponsor is not liable for losses resulting from the participant’s exercise of investment control if all of the ERISA 404(c) rules are satisfied. However, a plan sponsor retains responsibility for the selection and monitoring of the investment alternatives that are made available to the participants. and participants must be able to transfer money between options at least quarterly. ERISA prohibits fiduciaries from engaging in a variety of transactions that are inherently tainted by conflicts of interest. Specifically, a plan sponsor may not engage in transactions with the plan in which they use plan assets for their own interest, act for a party whose interests are adverse to the plan or plan participants, or receive compensation from a party dealing with the plan. ERISA requires that every fiduciary of the plan and every person who handles funds or other property of a plan are required to be bonded. The amount of the bond is 10% of the amount of the plan’s assets as of the beginning of the plan’s fiscal year. Unless the plan holds company stock, the maximum amount of the bond is $500,000. The bond protects the plan, not the fiduciary, against loss by reason of acts of fraud or dishonesty on the part of persons required to be bonded. What kind of litigation has been imposed on retirement plans? Any time there are drastic changes in an industry that negatively impact the workforce there is always the potential for heightened litigation. Qualified retirement plans are no exception and have been the target of major law firms that are focused on suing large providers and employers. The chart below highlights the law firms that are representing employees in class action ERISA lawsuits against their employer. Nearly forty lawsuits have been commenced relating to 401(k) plan fees. Initially the suits were brought by plan participants against plan sponsors and alleged that by allowing plan service providers to receive “revenue sharing” payments the plan sponsors caused the participants to pay excessive fees in breach of the sponsors’ fiduciary duties to the participants. The focus of the lawsuits against the plan sponsors evolved over time to include broader challenges to include the selection of actively managed mutual funds as plan investment options the use of retail share classes the investment and transaction drag associated with unitized stock funds and the service provider’s failure to capture additional revenue streams for the benefit of the plan. In addition to the lawsuits against the plan sponsors lawsuits have been brought against 401(k) plan service providers. These cases typically are based on allegations that the service providers are “functional fiduciaries” under ERISA. The plaintiffs claim that in negotiating for and receiving revenue sharing the service providers breached fiduciary duties and engaged in “prohibited transactions” under ERISA. Plaintiffs argue that the service providers are plan fiduciaries in either putting together the platform of investment options used by ERISA-covered plans or by reserving the right to add to delete or substitute the investment options on the platforms. One of the most active areas of ERISA litigation in recent days is disputes over an employer’s obligations to negotiate lower fees in the 401(k) and other pension plans. Whereas in the past large employers may have been more likely to face allegations that they had breached their fiduciary duty by failing to use their market position to get a better rate on fees those types of allegations are spreading to smaller employers and plan sponsors. Questions over fees are among the most hotly contested these days. Even a midsize company would have enough clout to negotiate a lower set of fees for a retirement plan as compared with an individual shopping around on his or her own. The employers also have an obligation under ERISA to negotiate the best fee rates. Past cases have made clear that plan sponsors have to carefully understand the fees for each component of a 401(k) plan and then carefully monitor those fees on an ongoing basis to make sure they’re reasonable. What is an ERISA 3(21) investment advisor? Under the provisions of ERISA a 3(21) investment advisor does not have discretion over plan assets directly but may exercise a certain level of influence and must meet a fiduciary standard of care. Investment advisors acting in a 3(21) capacity provide investment guidance and recommendations to a plan sponsor without discretion. Recommends list of investments for the plan sponsor to make decisions. No legal responsibility or liability. What is an ERISA 3(38) investment manager? Select monitor and replace investments in the plan. Complete legal responsibility and liability. Provides errors & omissions (E&O) insurance and fiduciary liability insurance. What are the differences between a 3(21) and a 3(38)? Some plan sponsors want assistance with their fiduciary responsibilities but want to maintain discretion and control over their plan’s investment menus. Others want to shift the fiduciary responsibilities to a third party due to their lack of expertise and ultimately fear of exposure to liability. Anyone can call themselves a fiduciary but a fiduciary is determined by actions not by title. The chart below shows some of the major differences. 1. Accept liability for managing investment options? No Yes Eliminates liability for managing investment options. 2. Have a vested interest in reducing investment plan risk and cost? Maybe Yes Reduces investment plan risk and cost significantly. 3. Can a plan sponsor transfer significant risk? No Yes Mitigates significant risk. 4. Provide advice with accountability? Maybe Yes Receives advice with accountability. 5. Have investment management direction? No Yes Discretion determines responsibility and liability. 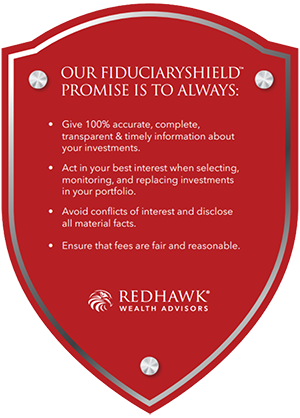 What are some of the considerations when looking at an investment fiduciary? Both 3(21) and 3(38) advisors accept fiduciary responsibility and adhere to ERISA 404(a)’s duty to serve solely in the interest of plan participants and both have to meet the “prudent man” standard of care. Plan sponsors retain the responsibility to select and monitor the advisor regardless of their advisor’s fiduciary status. Plan sponsors should consider the advisor’s experience skill and level of expertise in addition to their desire to take on exposure to potential liability. Additionally the advisor’s errors & omissions (E&O) liability coverage should be taken under consideration as well. What are the benefits of hiring an ERISA 3(38) investment manager? There is no “right answer” about whether a 3(21) or 3(38) fiduciary is best for a particular plan. Plan sponsors who are looking to minimize their fiduciary exposure and who are not concerned with giving up investment control may find a 3(38) fiduciary to be a good fit while those who want to retain control over investment decisions and are comfortable with their risk management practices around investment decision-making may find a 3(21) fiduciary to be a better fit. Fees may also be a factor as 3(38) fiduciaries may need to charge more in order to compensate for the higher level of risk they are taking. In today’s highly litigious climate the assumption of fiduciary responsibility by the investment manager is one of the key advantages for plan sponsors choosing the 3(38) outsourcing option. It allows the sponsor to maintain control of certain aspects of the plan while outsourcing the investment management component to a professional which is likely not an area of great expertise for a plan sponsor. It’s important to note that anyone can call themselves a fiduciary but a fiduciary is determined by actions AND not by title.